I have gotten a bit behind in my sock club knitting the past couple of months. 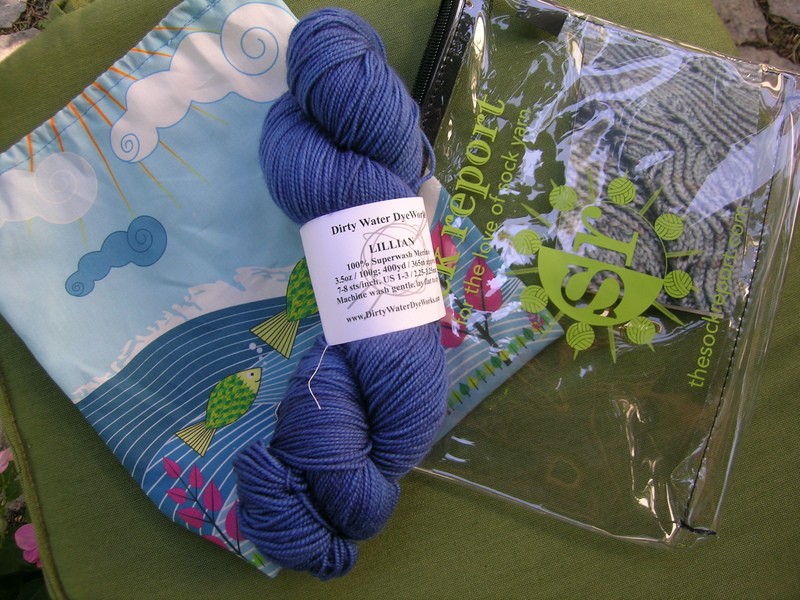 I hope to rectify that shortly, but first let me show you what arrived in mid-July, a beautiful blue yarn by Dirty Water DyeWorks, color : Fathom, along with another project bag, and a Sock Report clear bag. Dirty Water also carries the cutest project bags from Three Bags Full, I think that they may be ones that I spotted with CookieA when I was in her classes. Definitely have to put those on my wish list! It is knitting up so incredibly nice. I love spinning this pencil roving, this was my third hank of it, and the first thing that I spun on my new Jensen wheel, I got 496 yards, so I am hoping it is enough-otherwise the edging will be bound off with another fiber. 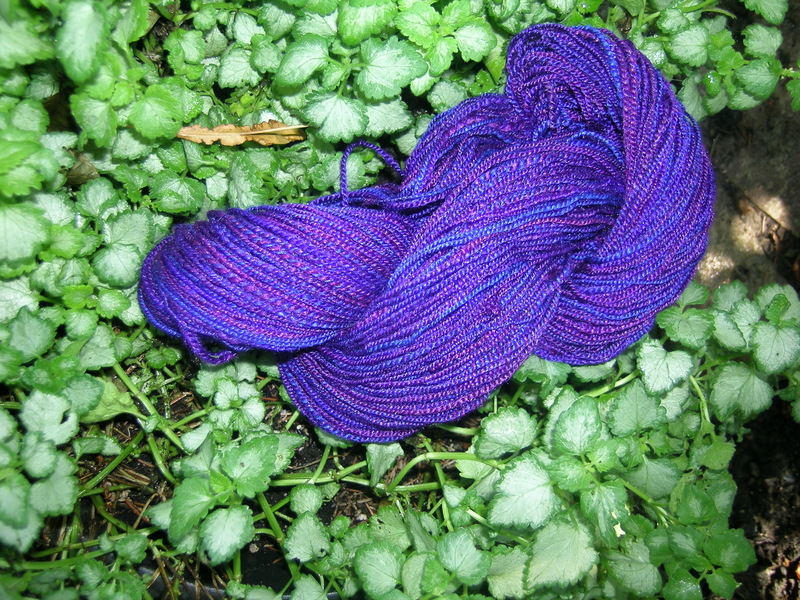 My spinning is not as even as I am able to get just a couple of months later, but beautiful non-the-less. I would highly recommend this fiber for beginning knitters, as it is easy to draft out. I have almost finished with Clue #2 of 3, having had a very bad false start where I knit garter stitch instead of stockinette well into the second clue. 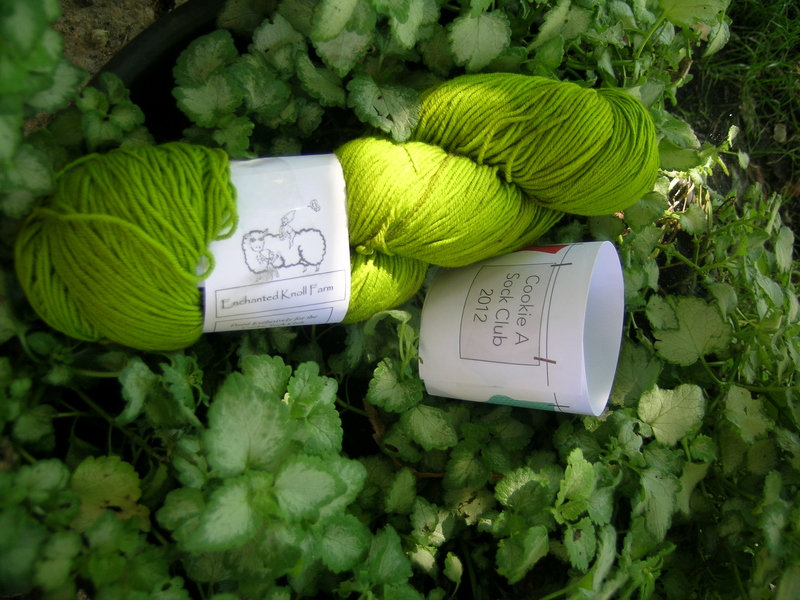 And finally from the CookieA 2012 sock club, this gorgeous green sock yarn from Enchanted Knoll Farm (color: Genmaicha), and looking at her webpage I see lots of luscious fiber. This is the good/bad thing about these sock clubs, I am introduced to fibers and vendors that I would not otherwise find, the bad news is that I am introduced to new sources of wool and yarn. 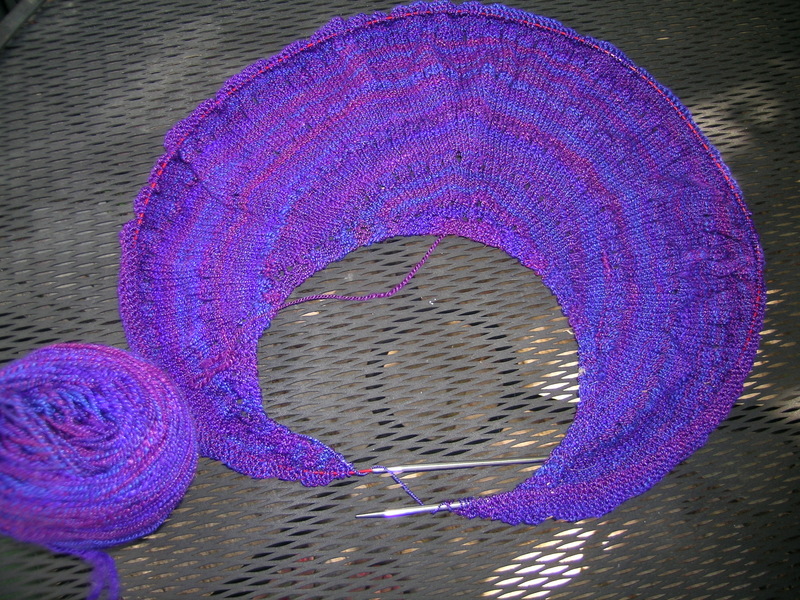 My difficulty with this month will be which of the 2 sock patterns to knit with, they are both so cute. One however is a different type of sock knit, so I will most likely attempt that one.